I would like to update you on Kula Bleu. 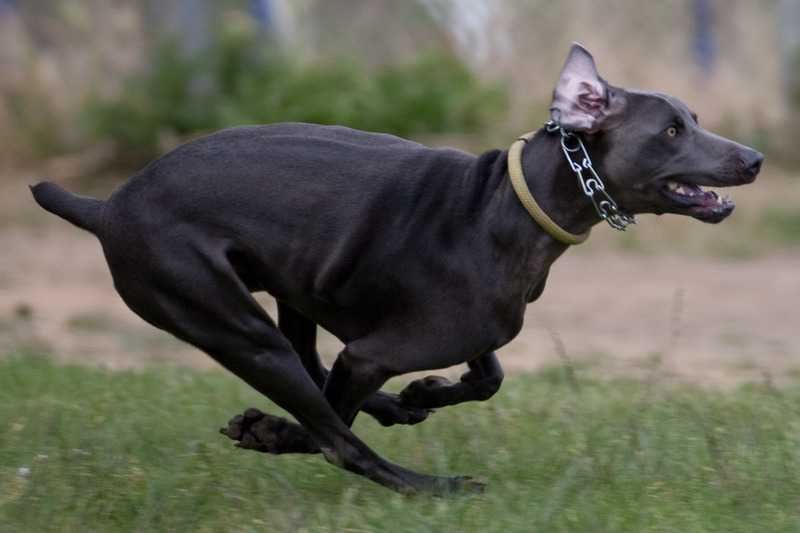 I hope you enjoy these photos of Kula participating in the Lure Course and Agility. 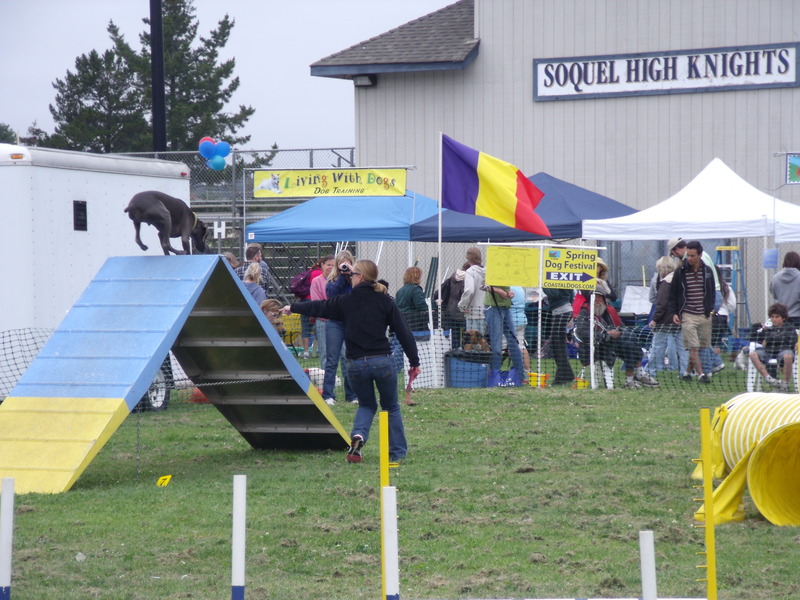 Kula first public Agility run was earlier this month. He was extremely focused and did all of the obstacles I directed him to. Which is really an accomplishment considering there were lots of dogs and people there to distract him. Kula is a natural at the lure course. No direction from me needed. Just strong muscles to get him back on leash because he still wants to chase the lure. Not everyone is into hunting but activities of various kinds are important for you and your Weimaraner. Some people are into hiking or running. Others are into events. Whatever you do your Weimaraner needs and wants to be a part of your life. As with the hunt tests, there is a lot of work that goes into competing in an event. 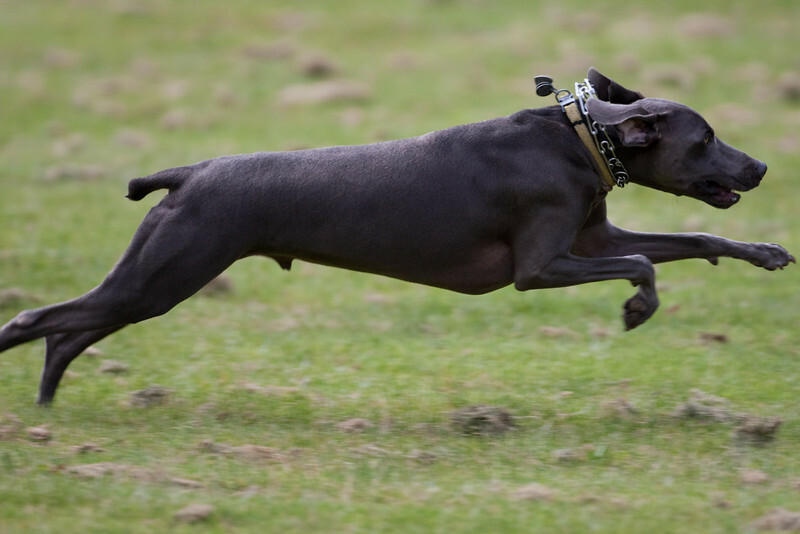 Long before your hit the agility venue you and your Weim must work consistently to achieve confidence and skill level. These venues are not for everyone but for some they are very fun. 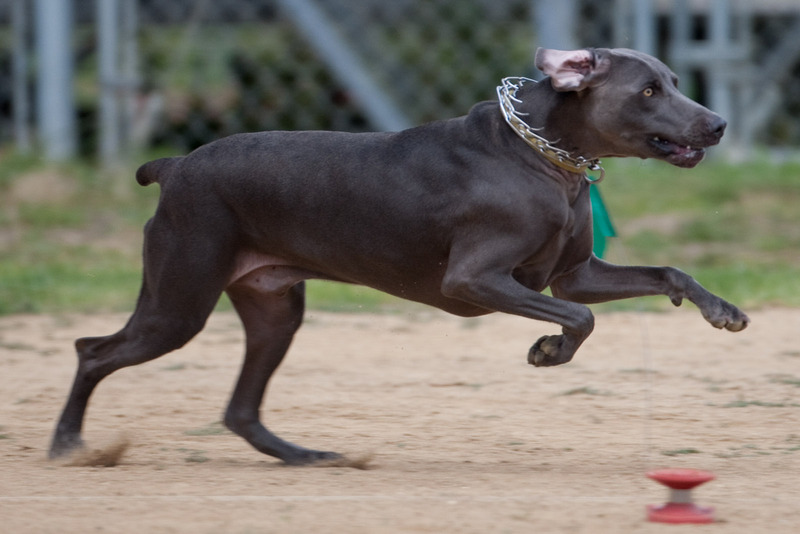 One caution with strenuous events dogs such as the Weimaraner should be fed well before or after their event. They make high calorie paste and small healthy snacks that could be given. Bloat is a very serious problem in deep-chested breeds. Even when hunting a person needs to be attuned to their Weimaraner and make sure they have the nutrients and fluids they need. Although nutrients and fluids are important, it is always balanced with doing everything to avoid bloat. Bloat is a life-threatening emergency situation in which the gut twists. Without immediate medical attention most result in death.